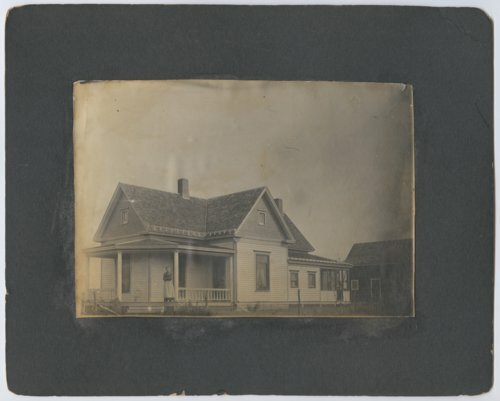 This is a photograph of Johanna (Bohm) Jolitz standing on her porch in Talmage, Kansas. The house was owned by Lydia Berthe Jolitz and her mother Johanna (Bohm) Jolitz. It was built by Johanna's sons.